Mart started as assistant accountant in 1990, to become in 2000 partner in Arenthals Grant Thornton, active in control- and consulting practice. In 2001 he became CFO of NFO Trendbox. In this job, he has been active internationally, and has been CEO for the period of one year. In 2004 Mart became co-owner of Trendbox through a management buy-in, and in 2006 he founded IFS Finance. Today, the IFS Group consists of the following business units: IFS Finance and Tax, IFS Interim en IFS Insite. IFS has accumulated a considerable amount of expertise on Exact software. Mart followed both HBO as university and accountancy educations. 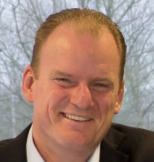 Richard has more than 20 years of experience as CFO in internationally operating enterprises. Next to finance en control, he has often also carried responsibility for ICT and supply chain management. As from 2004 he has been active as interim CFO, consultancy and business ventures. Specialties: Turnarounds & Change Management, Mergers & Acquisitions, Business Development, E-commerce and Business Intelligence. Jacco is active in the ICT industry for 20 years now, having performed different commercial roles for various international ICT suppliers. In 2008 he started as an independent entrepreneur, advising and actively supporting an number of innovative software suppliers in their start-up and subsequent grow phases. Currently, among others, shareholder and partner in Beegua, responsible for all marketing- and sales activities.. So Erik is well equipped to deliver the objectives in challenging financial projects. Erik is co-founder of IFS Finance, and shareholder in Beegua.